(Bloomberg) -- Alphabet Inc.’s Google was slapped with a European Union antitrust penalty for the third time since 2017 -- this time after being accused of thwarting competition for online ads with its AdSense for Search product. The European Commission ordered the company to pay about 1.49 billion euros ($1.7 billion). The penalty adds to earlier fines totaling 6.7 billion euros for illegally leveraging its Android mobile phone software and for unfairly favoring its own comparison-shopping service. 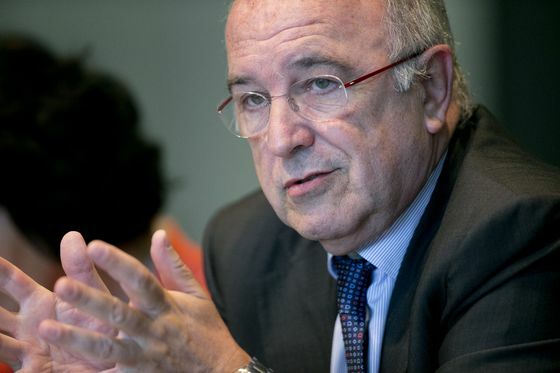 * February 2010: Joaquin Almunia, who’d just begun his term as EU antitrust chief, tells Google he’s got complaints from U.K. shopping website Foundem, Microsoft Corp.’s Ciao unit and French search service eJustice as he takes over as the EU’s competition commissioner. * November 30, 2010: The European Commission announces an antitrust probe “into allegations that Google has abused a dominant position in online search.” The EU says it suspected Google of lowering the ranking of competitors in vertical search results such as price-comparison services. It’s also concerned about restrictions in advertising contracts. * January 3, 2013: The U.S. Federal Trade Commission closes its 20-month antitrust probe of Google’s search and advertising practices after the company pledges to change some practices. * February 1, 2013: Almunia announces Google submitted a full offer to settle the antitrust probe. * April 9, 2013: A group representing Microsoft, Expedia and Nokia Oyj files an antitrust complaint against Google over its Android operating system. The group says the EU should investigate Google’s “deceptive conduct to lockout competition” in the mobile market. * February 5, 2014: Almunia says that Google made a settlement offer where it promises to show rival results next to its own specialized search results. * May 20, 2014: German and French ministers write to Almunia to criticize his plan to settle the case. 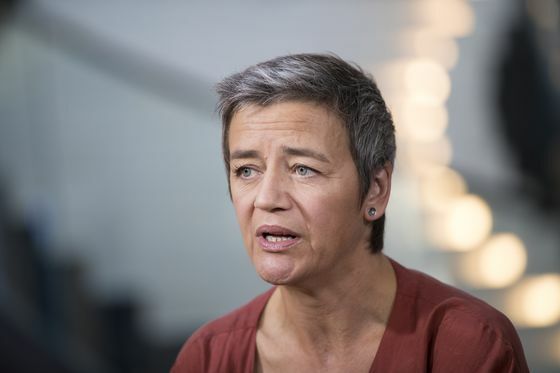 * November 1, 2014: New EU Competition Commissioner, Margrethe Vestager, takes over. Within weeks, officials are again quizzing Google rivals. * November 27, 2014: European Parliament votes for Google to be broken up if the EU can’t resolve its antitrust investigation. The vote by lawmakers isn’t binding. * April 15, 2015: The EU ramps up its search case, sending Google a formal statement of objections for "systematically favoring its own comparison shopping product in its general search results pages.” Vestager also opens a new probe into the Android operating system for mobile phones and tablets. * November 13, 2015: Russian search engine Yandex NV, building on a recent antitrust victory over Google in Russia, says it extended the legal battle to the EU as it seeks to force its U.S. competitor to unbundle services such as search from mobile devices using Android. * April 20, 2016: The EU escalates the Android probe, accusing Google of striking restrictive contracts that prevent makers of tablets and phones from adding competing apps and web browsers. The company also pays phone makers and telecoms operators to only install its search app on phones, the commission said. * July 14, 2016: Google’s AdSense for Search becomes the third of the company’s services to get an EU statement of objections listing potential competition problems. At the same time, the EU bolsters its search case by sending a second set of objections on search. * April 27, 2017: Google settles a Russian antitrust dispute over Android by agreeing to drop pre-installations of any competing search engines or apps. The deal paves the way for Russian search firm Yandex NV to be pre-installed on Android devices. * June 27, 2017: The EU fines Google a record-breaking 2.4 billion euros for unfairly discriminating against rival comparison-shopping services. Google is ordered to "stop its illegal conduct" and find a way to give equal treatment to competitors within 90 days or it will get more fines for failing to comply. * September 11, 2017: Google files its legal appeal. * September 27, 2017: Google changes how it shows shopping search results in Europe to avoid the threat of EU fines. It says it will let rivals bid for ad spots on top of search results and the Google Shopping unit must make bids without financial help from the parent firm. * June 18, 2018: Vestager says Google seems to be showing more ads from rivals. She says it’s too soon to judge if the company has done enough to avoid more fines.